The advance staff from the Japanese Hino Team Sugawara - really Dakar Legends - which will be fielding two Hino 500 trucks in the trucks in the 2018 Edition, arrived in South America very early: In the middle of December! "I arrived here on the 13th to perform altitude training and other exercises to physically acclimatize myself," said senior Yoshimasa Sugawara. "So I am feeling quite well with no jet lag. It seems like we will have the opportunity to race over a lot of dunes in the Peruvian segment in the early part of the race. I can't wait for the race to start." Once the team received shipment of the trucks from Japan, they got to work on servicing and making final adjustments on the trucks on a site that they borrowed from Toyota Peru in Lima. 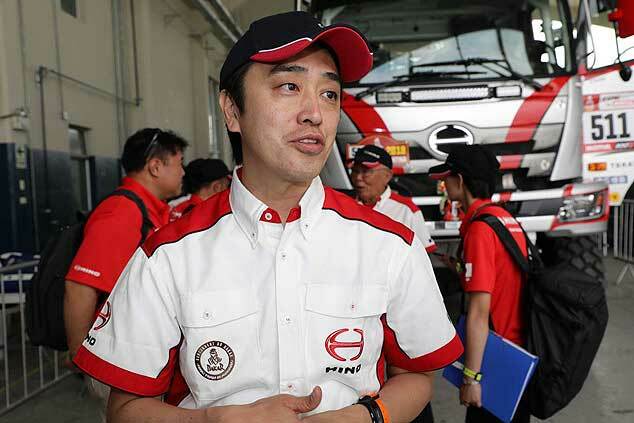 Inspections for the Hino team's trucks were complete in five hours due to the fact that no problems were found and that they arrived at the venue earlier than the specified time. The team is again fighting for the win in the light trucks class - which they dominated for years. 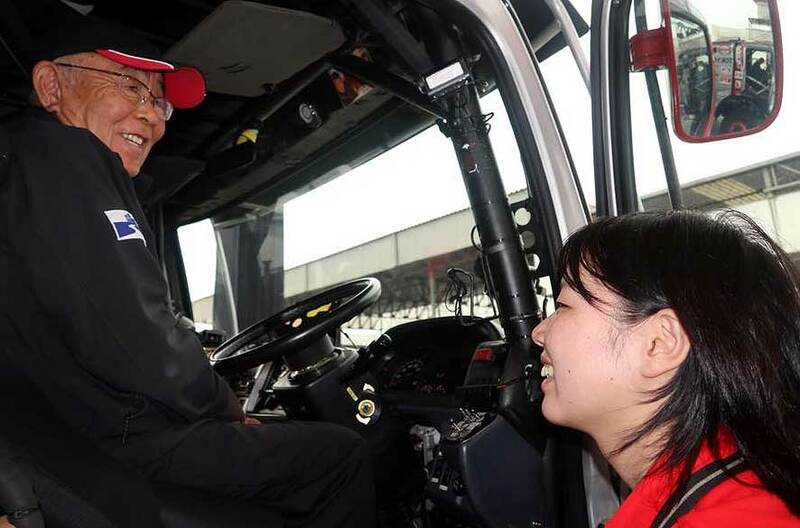 "I don't think there is that much difference in the potential of our Hino 500 trucks with trucks in the leading group," said Teruhito Sugawara. "Our truck is getting faster and faster. Step by step. The biggest factor in our 8th spot last year was the upgrades we made to the trucks. I think good results will follow if we are able to finish the race by making as few mistakes as possible. Race management will be key because the second half of the race will be as long as the dunes in the first part will be challenging." Yoshimasa Sugawara, born in 1941, is a real Dakar Legend. "I appeared on the Dakar on a motorcycle for the first time in 1983, then I started competing in a truck back in 1992. For me the truck class is the most interesting due to all the modifications that have occured and because the driving is more interesting. In 2017 we raced as we had planned and were able to win our class with a 1-2 finish. I am still full of energy. I´m driving all the way, including the liaisons, even if you are allowed to switch the driver´s," the 76-year old said. "Junior" Teruhito Sugawara (born 1972) is also an long-term Dakar expert. "I remember with perfect clarity that first Dakar in 1999 with my father. I didn't have any experience. Everything was a big surprise: the wide open spaces, the amazing dunes, the heavy impacts, the tense atmosphere," he told. My first Dakar as a driver (2011) was perfect and pleasant, with no punctures, a trouble-free machine and no navigation issues. Competition for the top spots is becoming increasingly intense, so we will continue working to maintain our solid winning streak in the Under 10-litre Class, and also finish in the top rankings overall."